Approximately 85 percent of the building has access to natural light, compared to around 65 percent in Posner Hall and GSIA. The Simmons Auditorium can accommodate up to 600 people and features a media wall and recording capabilities. The fitness center features locker and shower facilities, an exercise room, and an outdoor terrace encompassing a total of 7,500 square feet. The Swartz Center for Entrepreneurship comprises 15,000 square feet, including 10 “maker spaces” supporting startup development. rooms or work in well-traveled corridors. Two innovation classrooms on the third floor, referred to as South Egg and North Egg based on their unique shape, feature a flexible layout to accommodate a variety of instruction styles. There are a total of 19 classrooms — 11 more than in Posner Hall — including eight dedicated to master’s programs and eight dedicated to undergraduate programs. Masters Commons spanning open spaces on the second and third floors. 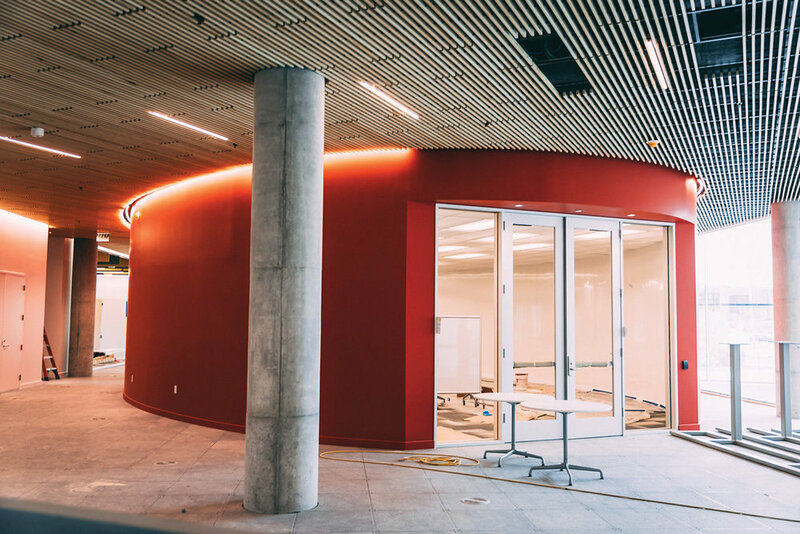 Executive Education programs will take place in a dedicated space on the fifth floor that includes two classrooms, five breakout rooms and a large event space and that will allow the center to expand its offerings and include more of the Carnegie Mellon community. Every floor spans more than an acre, from 52,520 square feet on floor 5 to 64,740 square feet on floor 2. Don't miss our exciting Quad Angles series with Brian Routledge, as he talks to the people who are responsible for helping to build the Quad. A $10,000 gift payable over two years will support the construction of the Level 3 bridge that connects the undergraduate and graduate wings of the Tepper School. 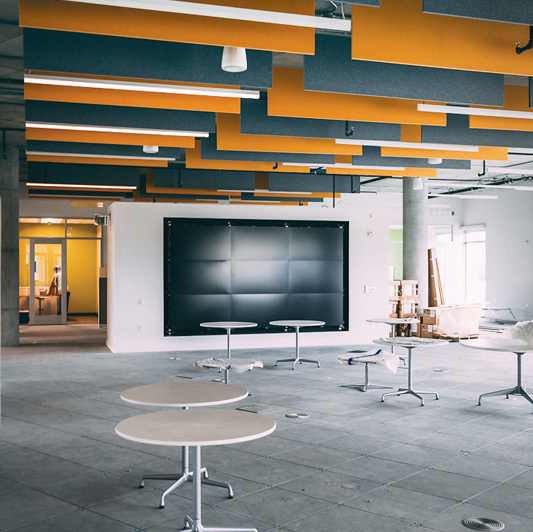 Level 3 will be a high-traffic area, housing the Accelerate Leadership Center, the Swartz Center for Entrepreneurship, Student Services, and a variety of team study and collaboration spaces. This gift will be recognized with a permanent display of the donor’s name in this highly visible location. 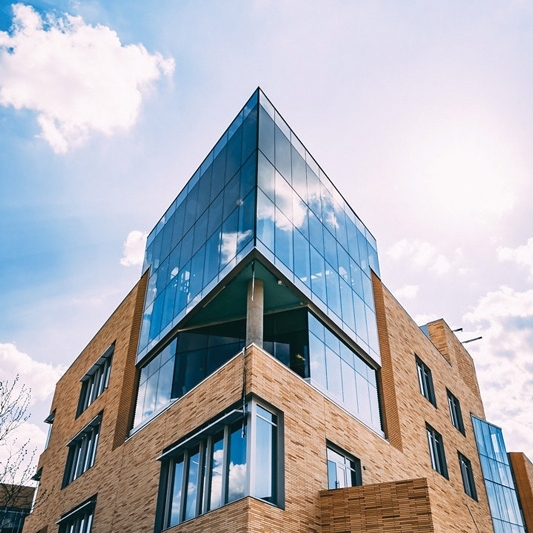 Please join in on the opportunity to make an impact via the new Alumni Bridge, which will serve as a focal point in the new building and connect all constituents of the Tepper School community to one another and to Carnegie Mellon — symbolically and literally. Contact Andy Jackson to Learn More.